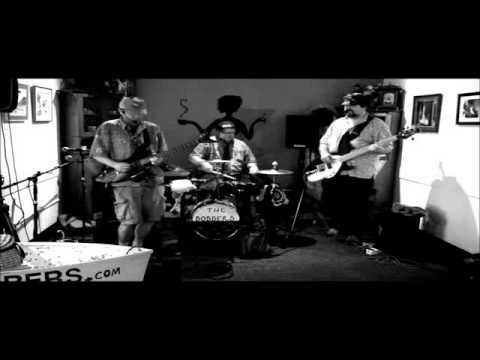 The Bobbers are a band of wacky men from Washington State making music exclusively about fishing. Their unique and engaging novelty/comedy act provides fishy fun for everyone. The Bobbers played at the Mount Vernon Farmer Market first market of the season May 20, 2017. They were the perfect band for the crowd we had: fun and funny, and the music was pure happiness. You don't have to be a fish lover to love these guys! Fintastic! Thank you so much for such a beautiful day, and wonderful experience. We had lots of dancers and listeners. The Mt. Vernon Farmer Market is situated along the bank of the mighty Skagit River with produce from the richest valley in Washington state. Great people, and great produce. THE BOBBERS hope to be back......Fish On!! We are Fishy-Fun for Everyone. 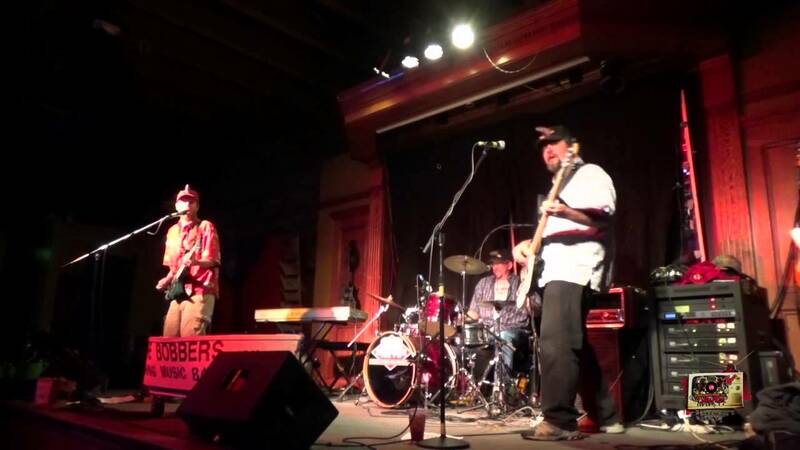 THE BOBBERS are Pure Northwest Original Music. Many people from around the Pacific Northwest have heard and enjoyed the music of THE BOBBERS - Fish 'N Music Show for a decade, now. Quirky stage show (or, self-contained roving/strolling show) with costumes, fish-shaped instruments and crowd participation. THE BOBBERS are a band of wacky men from Washington State making music exclusively about fishing. The group consists of Carl Yost - Drums & vocals, Richard Rydstrand - Bass & vocals, and Michael Helland - Guitar & Vocals. 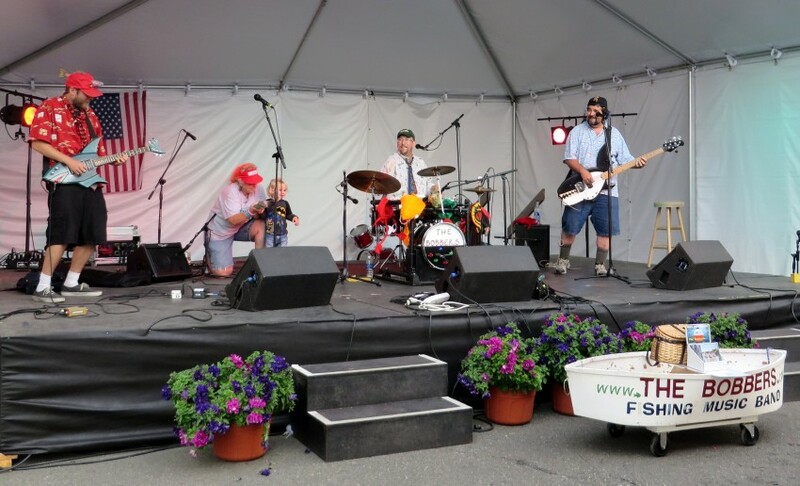 THE BOBBERS actually started playing together 22 years ago, under the name of The Wise Guys, performing cover songs at clubs in Washington State . Because all the members of the band enjoy fishing, the band booked gigs at remote locations near places where the fishing was good. Fishing by Day, and Performing by Night. Finally, the group put two and two together and decided to write all original songs about one of their favorite pastime, Fishing! 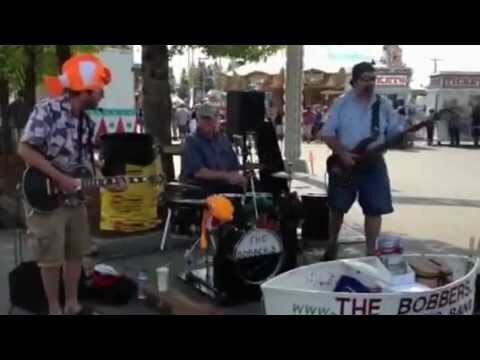 THE BOBBERS - FISH 'N MUSIC SHOW was born! 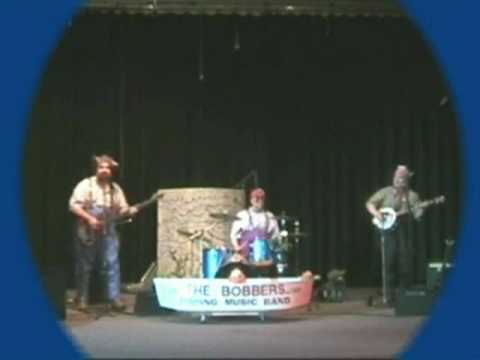 Original Music by THE BOBBERS - Fish 'N Music Show.